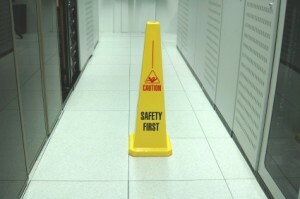 HomeBlog The Effectiveness of OHSAS 18001 in Ireland. The Effectiveness of OHSAS 18001 in Ireland. which have adopted the OHSAS 18001 standard have fewer accidents and fewer claims. Michael Brophy, chair of the Association of Accredited Certification Bodies (AACB), recently stated that while the overall number of certified companies was still relatively modest, significant growth had been observed in recent years, with the number of OHSAS 18001 certified organisations rising from just 81 in 2006 to 229 in 2010. Also, the number of OHSAS 18001 organisations in Ireland had more than doubled in the last 18 months. The challenge of this study was to extract pertinent information which could be used to inform and better understand why a specific organisation, or company, has OHSAS certification and why others do not. From the research, there are few correlations between industrial indicators such as size, nationality and the results. However, certain associations were measured, such as the effects of the measured OHSMSs on accidents, risks and costs. It seems, although it is based on a limited sample, there was an apparent reduction in the number of non reportable accidents and LTAs over the prescribed five year timeline. There were more actual claims filed within the non-OHSAS group and the costs of these claims were correspondingly higher. In conclusion this research indicates OHSAS certified companies have fewer accidents, fewer claims and the costs of implementing the OHSAS 18001 standard are less than its alternatives. OHSAS 18001 companies have KPIs for accident rates and in this regard can plan, rather than react to adverse events in the workplace.